Dial Direct Car Insurance South Africa offers one of the best comprehensive cover when you compare car insurance in South Africa. Not only do their products cover your motor vehicle, but your motor bike as well, which is a big plus for any biker. Are you neither a small car owner nor a biker? Don’t stress, you can take up an insurance policy for your 4×4, watercraft, and your van as well. A Dial Direct car insurance quote will quote you on its comprehensive insurance, which covers you on the event of a collision, when your car or motorcycle is damaged and needs repairs or written-off, when your own person is injured and medical assistance is needed; this also extends to any third parties involved in the accident. What’s even great about Dial Direct car insurance’s comprehensive cover is that you can make a claim on anybody else driving your car, or if you yourself was involved in a collision whilst driving someone else’s car. You have different options and top ups to Dial Direct Insurance South Africa’s policies, which include Third Party, Theft and Fire damage, whilst there is also solely third party cover as a another option. The full comprehensive insurance cover is by far the best however. You can compare your car insurance quotes of the three different options and different car insurance companies. With call centres across South Africa, you can easily call Dial Direct to provide roadside assistance to you in the country, or our neighbouring countries including Zimbabwe, Malawi, Mozambique and Botswana. 25% cash back of your premiums on 4 claim free years, or one year’s premium’s back with Dial Direct Car Insurance Simple Smart Bonus! 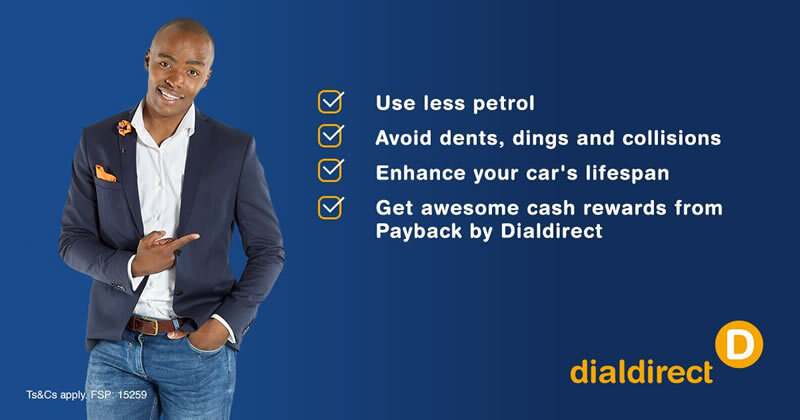 Dial Direct South Africa has industry experience working with UK counterparts where some amazing car insurance innovations in the UK have been brought to South Africa as well. It won’t be long they come up with new products which ultimately should be at the benefit of us all as car insurance buyers.